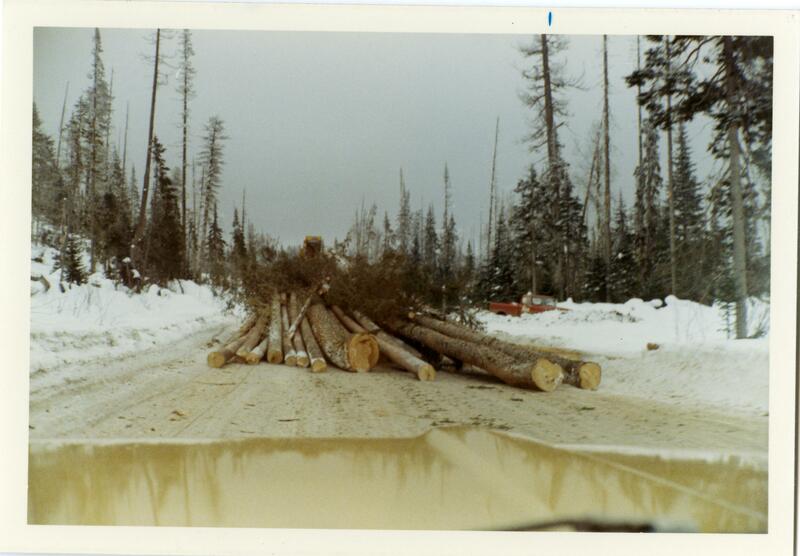 Winter scene, logs being pulled to bush landing. Photograph depicts arch logging truck, pulling several logs in winter. Notes on envelope read: " c. 1970 Barney Creek, Summit Lake east of Highway 97. Maximum negotiable grade1/2 % up to 3/4 % for short distances (100 yards)."